Okinawa has ver few places for motor sports, but Tuesday’s event at Okinawa City Sports Park aims for public support to change the situation. 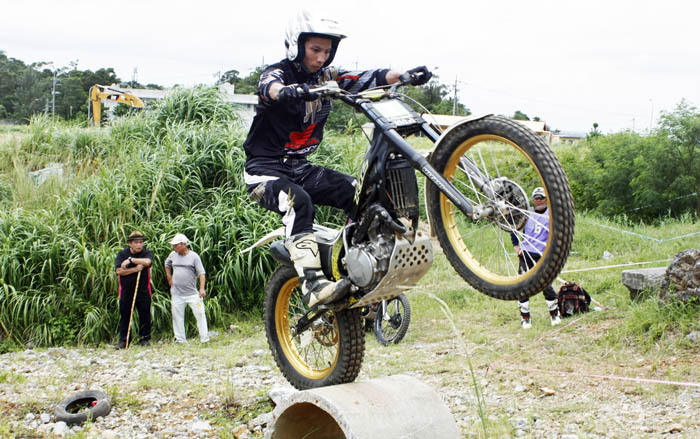 The Okinawa City Government has for some time tried to construct a motor sports facility in the city, but motor sports have proven not to be particularly popular among local people. That is why there are practically no motor sports tracks or hardly any organized motor sports anywhere on the island. In order to do something about the situation, a group of local motors sports enthusiasts with the backing of the city is organizing a motor sports event to develop a better understanding of motor sports among the residents, and enhance the opportunity for realizing the goal of building a racetrack in the city. 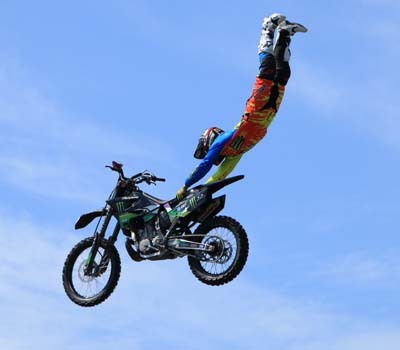 Professionals promise to show some impressive tricks at the show. The event takes place from 9:00 to 17:00 on Tuesday, Nov. 3, which is a Japanese national holiday, the Culture Day, at the Okinawa City Koza Sports Park at 2-1-1 Moromizato, Okinawa City. The par is located just off the Okinawa Minami exit/entrance of the Okinawa Expressway. The event will feature a display of various motor sports cars with top drivers from on and off the island performing demonstration drives. The public will also have a chance to experience riding in a vehicle with a professional or top race driver during the event. A variety of exhibition booths will display machines by two-wheel and four-wheel vehicle makers, custom cars and police vehicles. There’s a pro drivers’ talk show and live music event on a stage as well. The demonstrations and displays will feature FMX free style motocross, drift, Gymkhana, kart, bike Gymkhana, 4WD trial, mini bikes, bike trial, radio controlled cars, drag racing among others. Admission to the event is free. As parking in the area is very limited, organizers urge visitors to use public transportation to and from the area.